Android 6.0 Marshmallow Images Available, OTAs Start Today! | Android News at HighOnAndroid.com! 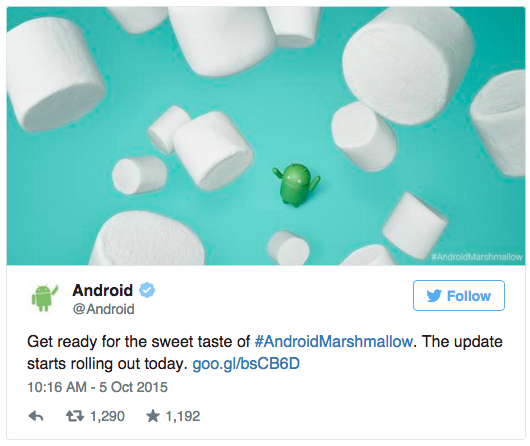 Android 6.0 Marshmallow Images Available, OTAs Start Today! Today is the day we’ve all been waiting for! Google posted the Marshmallow image files for the Nexus 5,6,7, and 9 earlier this morning and now it’s a flashing party, no not that kind of flashing party. You can also grab the Marshmallow update for the Nexus Player. The build number for this official release of 6.0 is MRA58K. You can grab the factory images from the link below and check out Max’s tutorial if you are unsure how to flash them yourself. 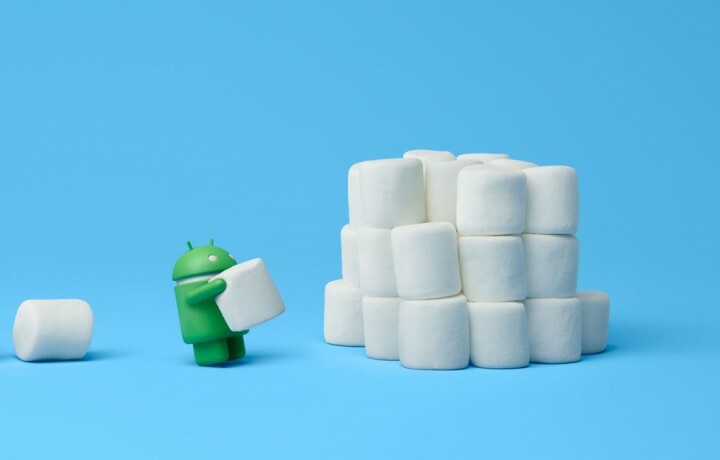 Google also commented that the OTA’s for Marshmallow will start rolling out to these same devices starting today. This will surely be a slow roll out as usual, but you can expect the upgrade before everyone else if you’re on a Nexus device. It also appears that the T-Mobile variant of the Nexus 6 is receiving the exact same build of 6.0 as the unlocked variant, something we did not see with Lollipop. We’ll be flashing the new sweetness on our devices and surely have a rundown and more on the official 6.0 features later today! Who’s ready for s’more? Next story Xiaomi Mi Note 2 To Arrive As Early As Next Month! Plus Leaked Specs! Previous story HOA Weekly Wrap: Nexus Frenzy and Everyone Hates Motorola!